One of the most remote cities on earth is located far away in Western Australia. Those whom are familiar with Perth will be well aware of the natural beauty which lies 185 miles south of the city.  The Margaret River region is famous for its Western Australian wines, primarily Chardonnay, Cabernet Sauvignon and Shiraz, as well as its pristine beaches and national parks. It is definitely one to put on your bucket list. 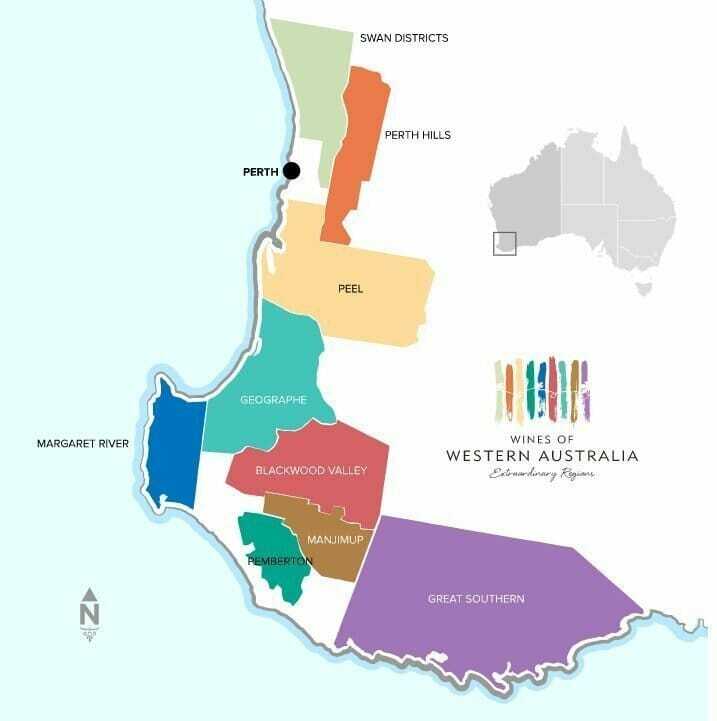 The area boasts over 100 wineries across a 30 mile square area and produces some of the best wine in Australia even though it accounts for less than five percent of the total country’s production.  A few house hold Western Australian wines that you may of heard of include; Howard Park, Cape Naturalist, Leeuwin Estate, Lenton Brae, Wise, Moss Wood, Vasse Felix & Voyager estates. We could go on, but i’m sure you get the point. There are many five star wineries in this small region. 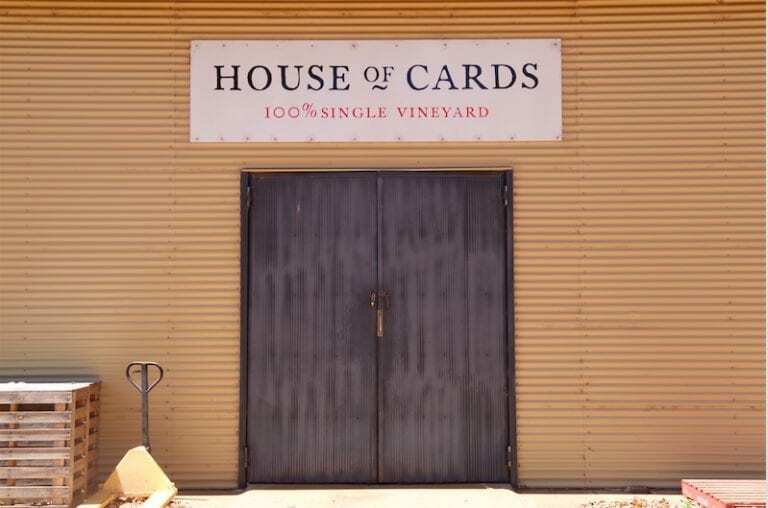 One winery which has emerged on the Western Australian wine scene over the last seven years’ which has gained significant praise, is a small but rapidly growing estate called House of Cards.  Owned and operated by husband and wife team Travis and Elizabeth Wray, this is definitely one to watch. Travis plays a leading hand in both the vineyard (growing) and wine making.  In some wineries, (usually the larger ones), it is not uncommon for this role to be split. There is an old saying in the winemaking industry that the wine maker can only be as good as the fruit he is given. This being true, as a winemaker surely you would want to be part of the growing process to ensure the vines are producing the highest quality fruit possible. Speaking with Travis, the name House of Cards is a slant on this train of thought where he wants to play his best hand possible based on the terroir which he has been dealt. In winemaking speak, Terroir (pronounced tehr/wahr) is the set of all environmental elements that effect a vine and its fruits. This can include the soil, growing practices (conventional/biodynamic/organic) and the climate in which the vines and fruit is exposed.  Collectively, all of these contextual characteristics are said to add character and will influence the taste and quality of the end product, being your wine. The terroir in the Margaret River wine region is typically Mediterranean, one of hot, dry summers and cool, wet winters which aren’t subjected to too much frost or hail which can have adverse effects on the fruit. In most instances the soil is rather sandy but has a subset of clay. 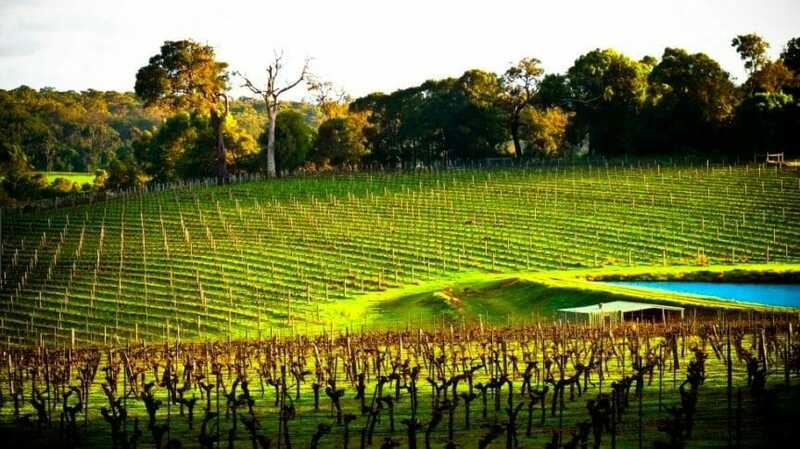 Most vineyards are surrounded by woodlands, Jarrah or Marri forests. Overall, this particular climate is often compared to Bordeaux (Pomerol and St Émilion) which is why the cabernet sauvignon is so good! 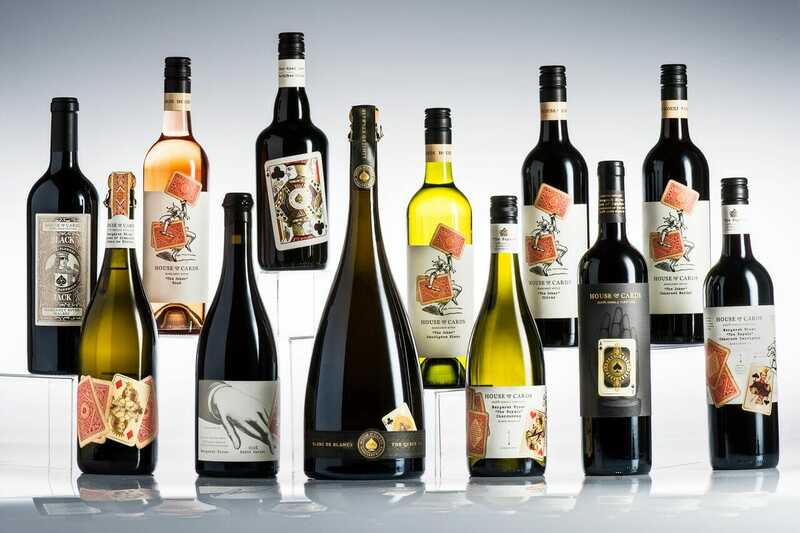 Travis has been steadily expanding their range of wines and experimenting over the last couple of years, straying away from the typical Margaret River mould using different fruits and production methods. He has turned the vineyard almost one hundred percent biodynamic, opting to use natural methods to fight against the diseases in which the vines and fruit are subject to. This has yielded him some fantastics results, with superb critic ratings on their wines. As a result, they sell almost all of their entire production via their cellar door. All wines are made from the fruit from their single vineyard estate, hand picked and basket pressed. Winemaking Notes: Chardonnay was hand picked and sorted before being whole-bunch pressed and barrel fermented using 100% wild yeast. Wild yeast adds to the wines mouth-feel and gives great complexity. Maturation in French oak, 45% new, for 11 months’. Palate: Black fruits, leather and spice. A wine of huge length and intensity. Winemaking Notes: Open top fermentation, hand plunging and manual basket pressing to make this complex wine. Extended skin contact for 30 days’ post-fermentation add to the tannin structure. Maturation in French oak, 40% new, for 18 months’.
. Palate is rich, lifted, intense and persistent with ripe blue fruits and spice dominating. Lineal acid and chewy tannins combine to round out the palate and give length and drive. Winemaking Notes: An initial cold soak drew colour and heightened aromatic qualities. We use a mixture of open top and barrel fermentation which is hand plunged four times daily. Extended skin contact post fermentation (28 days’) softened the palate and built structure and length. The wine is manually basket pressed then is matured in 50% new French oak for 18 months’. We choose our coopers based on their ability to increase the structure of the wine without overpowering the palate and aromatics. So there you have it folks. 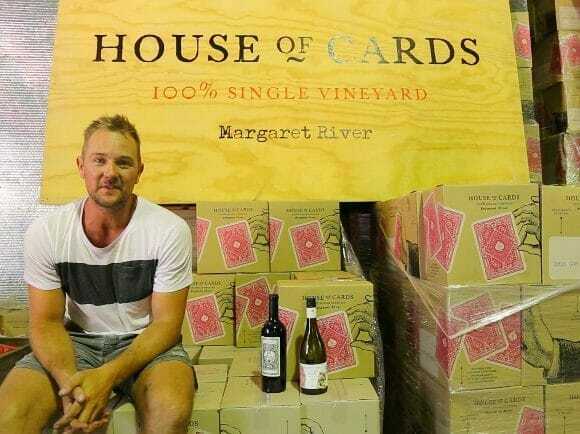 A quick run down of the Margaret River wine region and our friends over at House of Cards. 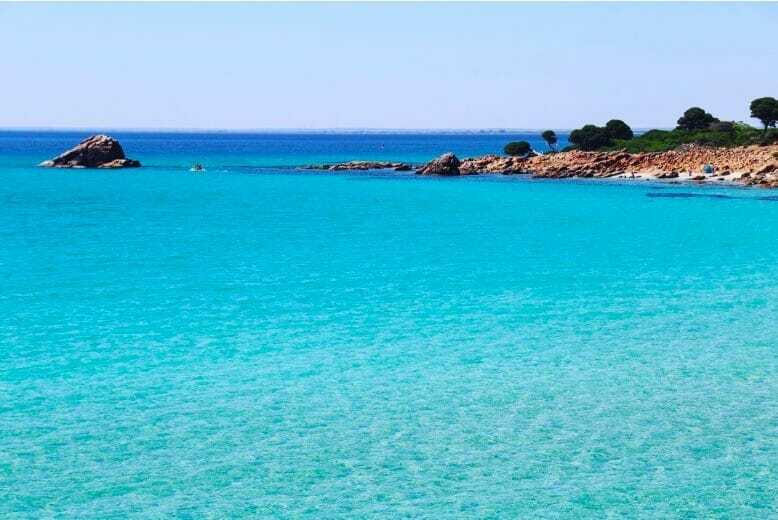 With over 250 days of sunshine a year, more than 100 top rated wineries in a 30 square mile radius, stunning beaches and national park to boot there really is no reason why you shouldn’t go check it out.